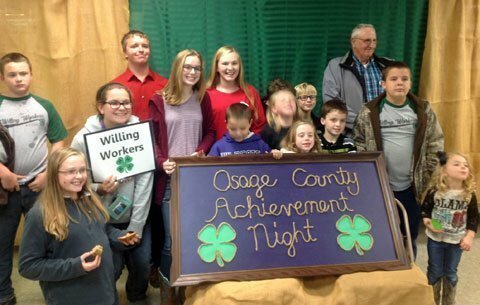 DeWayne Schoepflin, back right, is surrounded by his friends, the Willing Workers 4-H Club, after receiving his Friend of the 4-H Award for his continued support of the Osage City area club. Friend of 4-H Award is presented annually to those that have made significant contributions to the 4-H program but may not have been involved in 4-H as a member. For the past 4-H year, local 4-H groups designated the award for DeWayne Schoepflin, sponsored by Willing Workers 4-H Club, Vintage Park Assisted Living, sponsored by Vassar Blue Ribbon 4-H Club, and Larry and Kay Salisbury, nominated by the Melvern Jr. Highline 4-H Club. Schoepflin is a longtime 4-H supporter, and Osage County 4-H members can always rely on him to help out where needed. During setup of Osage County Fair, Schoepflin dumps rock screenings in and around the arena without charge. He has been very supportive of the tractor restoration group. 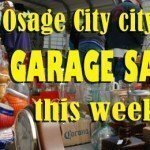 He donates funds to Osage County Fair for trophies and the list goes on. Local 4-Hers thank him for his continual support. 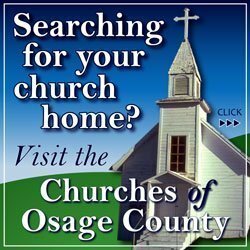 Vintage Park is an assisted living facility in Osage City, Kan. They are always willing to have 4-H clubs visit and enjoy fellowship with residents. Some of the residents were once in 4-H and were volunteers. Several local 4-H clubs interact with Vintage Park residents. 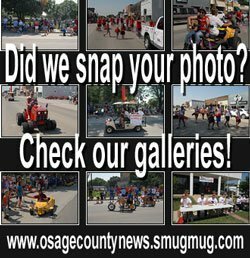 Larry and Kay Salisbury supply award plaques for several top entries at the annual Sunflower Days 4-H Fair. If they are at any gathering or public event where the subject of 4-H comes up, they always offer positive support for the 4-H program. Melvern Jr. Highline 4-H can always count on their support of the local 4-H club. The Friends of 4-H awards are presented during the Osage County 4-H Council’s annual achievement night.